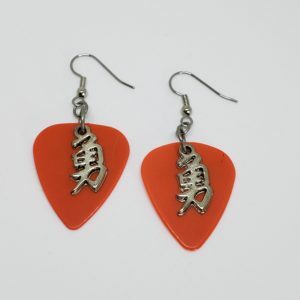 The word courage is backed by red guitar picks. 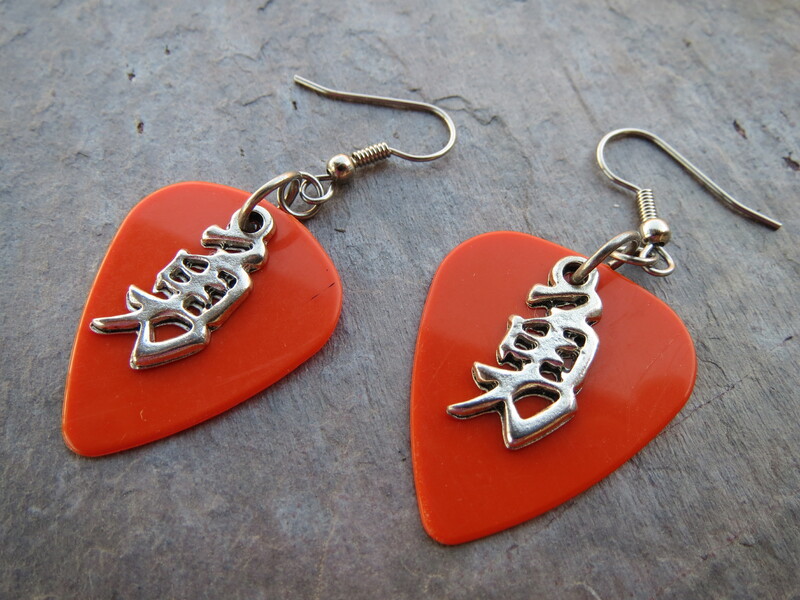 These are light weight earrings that have surgical steel ear wires that are good for sensitives ears. 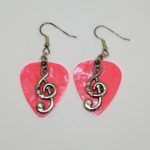 The are 1″ wide and hang 1 1/4″ from the ear wire. 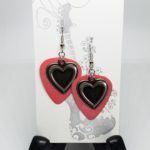 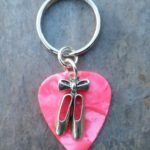 These come in an organza bag ready for gifting. The word courage is backed by red guitar picks. 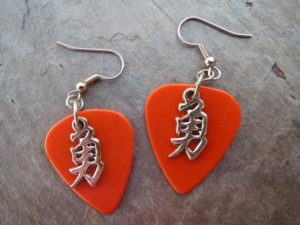 These are light weight earrings that have surgical steel ear wires that are good for sensitives ears. 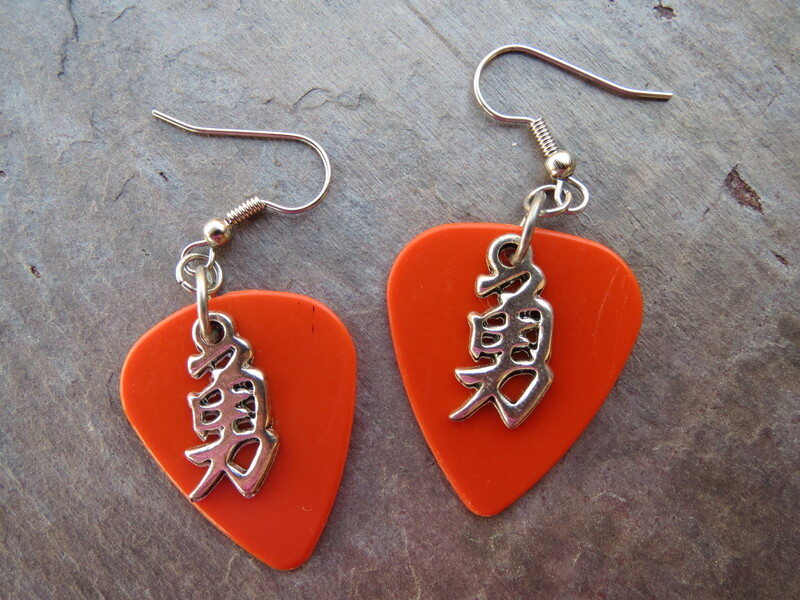 The are 1″ wide and hang 1 1/4″ from the ear wire. 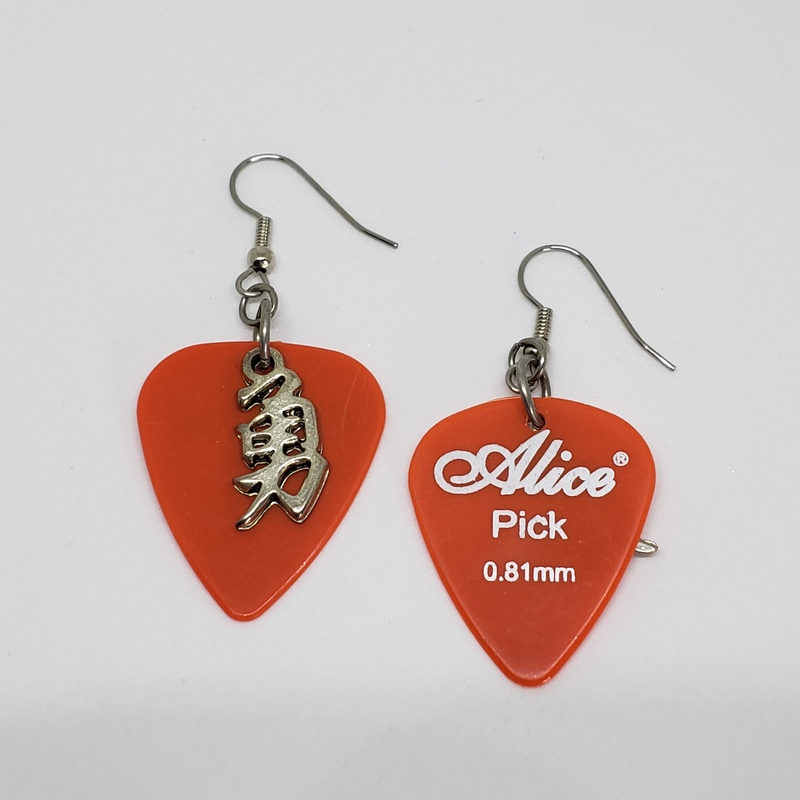 On the back is printed “Alice Pick 0.81mm”. 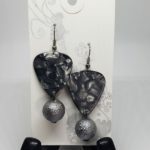 These come in an organza bag ready for gifting.